Between the earth and the sky, between the past and the present, between the musical notes and the silence exist universes. Millions of them. The eighth volume of Fiction River presents fourteen universes, all different, all powerful. From a planetary survey ship moored in an alien ocean to a comic book convention near a strange Louisiana town, each of these universes go somewhere familiar and strange at the same time. 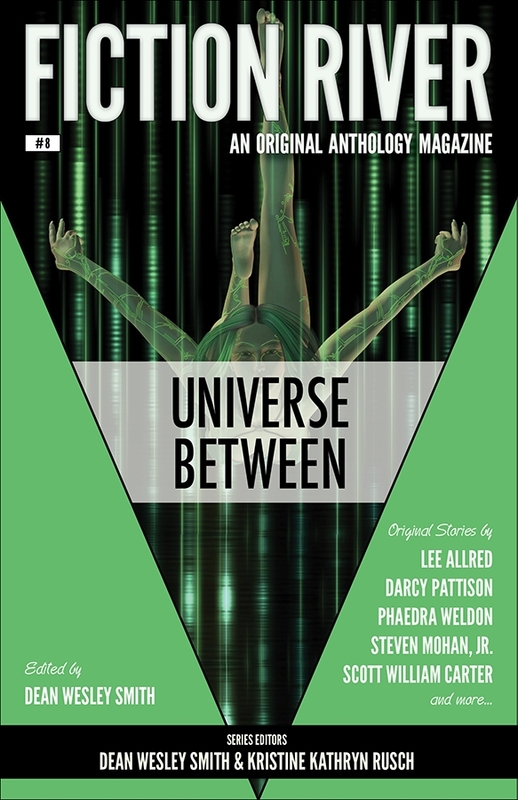 Includes stories by Lee Allred, David H. Hendrickson, Richard Alan Dickson, Darcy Pattison, Phaedra Weldon, Rebecca S.W. Bates, Jamie McNabb, Steven Mohan, Jr., Kellen Knolan, Karen L. Abrahamson, Scott William Carter, Kristine Kathryn Rusch, Dean Wesley Smith, and Rob Vagle.